Now, exactly five years in, we had what anyone would describe as the ideal nature encounter. A mature leopard perched in a tree within view of our path, not far from a troupe of Nilgiri Langur monkeys. Stalking. We stood and observed from fifty meters back, but the leopard eventually changed plans, climbing down the tree and leaping the last fifteen feet to the ground. And then the leopard was gone. It would be tempting to want more, but I did not and do not. I was even glad that none of us made any effort to reach for a camera; instead choosing to see the animal and remember what we saw. 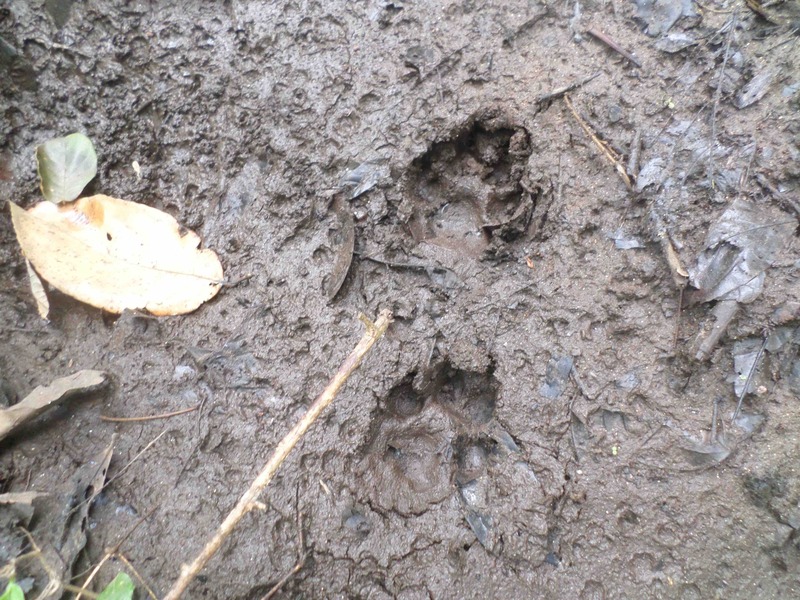 The paw prints we encountered just a bit ahead on the trail, almost certainly the same animal, was worth pausing to photograph. It is a reminder of what we are here to do. ← New York, Have a Sunny Day!